Gawsh, another Monday. I'm tired. I want to go away and sleep, waking up to breakfast/brunch in bed, waking up again to go sightseeing, eating different cuisine, going shopping for unusual/different jewelry items, etc. Yes, I want to go on holiday to some European city and just relax. Alas, this is not going to be me for a whiiiiiiiiiiiiiile, so I should just shut my head up and embrace today. Anyways, there's this thing that irks me. I've come across the term 'Natural Hair' being used loosely, especially in Nigeria. My dear friends, Natural Hair is hair that has not been altered by any treatment. That is to say, if your hair is relaxed, texlaxed, jheri-curled, etc, your hair is NOT natural. Your hair does NOT grow out of your scalp in that manner, so PLEASE stop calling relaxed hair natural. I understand that you want to distinguish yourself from people who wear weaves or braids. You can say "This is my hair. This is my own hair." You cannot say "This is my NATURAL hair." That's an F9 for you if you say that. existing in or derived from nature; not made or caused by humankind. Now, friends, is relaxed hair derived from nature? Does it exist in nature? Isn't a relaxer made by humankind? Please note that I have absolutely NOTHING AGAINST relaxed hair. What I have a problem with is when people call relaxed hair, natural. Maybe we should all just call hair HAIR and leave it alone. Hmm I feel you. 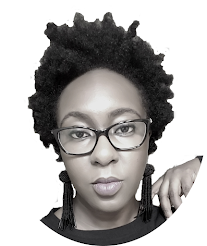 Before I discovered the hair blog world, I guess I thought of natural hair as hair that was not "done" with weaves, wigs or extentions, as do ppl around me. Eg. "I want to give my hair a break. I want to carry my natural hair this week". Meanwhile d hair is relaxed o. Now I know better n it irks me when ppl refer to hair that is not "weaved", "wigged", or "extensioned" but is relaxed and/or coloured as natural hair. When ppl ask me why I cut my hair I say I want to carry my natural hair. Then I go further to explain I want to stop using relaxers on my hair cos they usually have a blank look on their faces. I agree that it's likely the weave thing. Speaking of weaves, I'm bored and I think I want to get a weave done soon. I'm thinking we might all just have to move to PROCESSED, UNPROCESSED to avoid confusion. Like a friend of mine said there's a natural hair salon in Lagos, and I got excited, only to find out she meant Gentle Touch. I was, to say the least, quite confused and disappointed. I am of the opinion that natural hair is hair that grew from the scalp, be it unprocessed, relaxed, texlaxed, dyed etc. Frankly, I like to refer to natural hair as virgin or unprocessed hair so as to distinguish it from the relaxed/texlaxed counterparts. No one's hair is more natural than another person's, as long as they all grew from the scalp. People just have different ways of dealing with or taking care of their hair, doesn't take away the naturality from their hair. And to clear any air of doubt, my hair is unprocessed, natural if you will. LOL! You know, you might just have the answer. Unprocessed hair, processed hair. Sounds unpretty, but accurate. Haa berry, don't start another hair debate in blogsville o. I can tell you for free that the last one did not go down well, lol. Lol, I think I should be able to express what I think without it turning into a war. Anybody that wants to fight about it should find another avenue, cos I'm not interested in fighting. I guess in this part of the world, yes. Because I don't remember anyone calling relaxed hair 'natural' in the States. States this, America that. Oh looky me, I grew up in america and we do this blah blah. Snap out of it mami you are not the only one that has lived in some other country. A lot of us hav and still do. I hav lived in the UK all my life. You come off as turning up your nose at any thing 'Nigerian'. I laugh at people like you. You must really think you are a better than anyone else. I pity your friends if you have any. My love for Berry was this tiny but now its thiiiiiiiiiisssssss huge. Meeting Berry one on one has been added to my 2014 to do list! Na wa o. See blog trolls o. If Berry turns up her nose at Nigerian stuffs, then Michelle Obama must be white. And yes, I am her friend, but I don't need your pity. My 16" relaxed hair is my natural hair. This is what I choose to call it, can't be bothered with saying "processed hair" and whatnot. "Natural", even though defined in the dictionary as you stated above has different interpretations to different people just like many other words out there. To each their own, there are way more important issues to overflog in this life. Ooooh 16"!!! That's long. I've never thought to measure my hair length. Anyways, to each her own. All you "team natural" people like to carry this thing on top of your head. So, if I have "relaxed" or shall we say "processed" hair which God has given to me it shouldn't be referred to as my natural hair because I have put chemicals on to make it easier for me to handle? Arrant nonsense. I believe it is a thing of preference, so long as it is not a weave or attachment it can be referred to as natural hair. if you team natural people want to be treated differently and more delicately then I suggest you all gather and form a confederation. How about we just agree to disagree? If you say it is a thing of preference, then I can have my own opinion, yes? Anon 5.41 you couldnt have said it better. Natural or wateva haired ppl always feel closer to heaven than the rest of us. They tend to feel superior lmao. Unprocessed hair looks very tacky to me and a lot of people don't know how to maintain it. And for the person above that said Berry believes she is better because of her American this and that lol. To be honest I feel that way too but didn't want to mention it so as not to come off as rude. Berry you really come off as stuckup my love but if people that personally know you claim different then whom am I to judge? I don't know about the naturals that you know, but I certainly don't feel closer to heaven. Is it hair that God is looking at? In addition, I have to take offense with the statement that unprocessed hair looks very tacky - such generalizations are poor and judgmental. For every person who has not learned how to maintain it, there are others who do it very well. As far as my coming off as stuck-up because I mention my experiences in America, I really don't know what to tell you. I suppose I should forget that I spent half of my life there, and that most of my experiences in the past 10 years come from my time there? I wonder how I can talk about my life and mention only Nigeria, when I don't have selective amnesia. I'm sorry if I sound rude, but I have to stand up for myself when my person is being "attacked" by people who have not even met me or know me in real life. I have always read your blog Berry and have never really had a need to comment until now. Several of these comments have drawn me out from my ‘hiding place’. Truth is that there is nothing that one can do to satisfy everyone. This is Berry’s blog and voicing her opinions does not require anyone being rude just because what she said is different from what you believe in. So what if she makes references to America- I see nothing wrong in that. No forming about it- that is all she knows about. I spent the first 20 odd years of my life in Lagos but there were so many things I could not stand (mind you I am from an average family and went to a federal school) but most people saw that as forming. When I first moved to the UK, most people labelled me as forming just because I wasn’t into the whole ‘we are Nigerians in the UK must be friends with other Nigerians movement’. But that is just me, my husband and family know I am the nicest person ever and I am just reserved. I am not one with loads of friends. Anyways, without digressing too much and to prevent me getting insulted for forming…loll. It is just plain rude to insult anyone especially under the shadow of anonymous. If you really want to voice your mind( which I am not saying is right) then please use your name so we can at least know what kind of person you are. So says the 'Anonymous'. Telling someone else to use there I.D and you are not. Lmao. Even if the person used her/his real I.D then what? What does it justify? Think before talking abeg. Thank you oh! All these Anons that will give other Anons (aka us that are too lazy to sign in or non-bloggers) bad names. Haba first of all it was your church people saying you were stuck up and now this? Berry sweetie, please do you my dear! @ Anonymous 8:47 - You're right, in that everyone can't be satisfied. And lol @ your apparent forming in Lagos, and in the UK. It's funny that when you're quiet, you're labeled as 'stuck up.' And yet the same people will say you're trying too hard, if you want to be friends with everybody. And to your last point, while I welcome more readers, I wonder why anyone who doesn't like my persona would come back to read anything. There are other bloggers, TV hosts, radio personalities who I don't care for (for one random reason or another) and I don't watch/listen to them. If all it's going to do is annoy or irritate you by following a blogger or whoever, then why on earth are you stressing yourself? Simply ignore and don't click. It's not rocket science. So I came here to LOL at the question of coloured natural hair and I'm seeing "fight". Now I'm LOL-ing at the America comment. Na wa. You are who you are Berry no matter what anybody says. Please ignore the noise ok? My dear, see Lifetime Soap Opera unfolding. LOOOL! I'm a stylist and I went natural almost 10 years ago, (before a lot of people did, as I wanted versatility and thicker hair) , what Berry is saying is actually true, Nigerians refer to Natural hair as "Virgin hair" (why?? LOL) and everything else without extensions as "Natural hair", they never ask "Is this your real hair?"... maybe it just hit a nerve with some people, the way it was written and others couldn't care less, it is a colloquial term, I'm afraid because in other countries, natural hair is unprocessed hair. Anyway the comment that surprised me was, unprocessed hair looked "tacky". I understand its not for everyone, but tacky is a bit harsh. Me I love my natural hair sha, and I when it comes to styling its so versatile, I love pushing boundaries, no matter the texture of unprocessed afro hair, if the individual maintains their hair, it always looks and feels nice. I wish I could meet you and give you a hug for every single part of your comment!!! So my 'American dis and that comment has upped the comments on this blog!! hahahahah. i think i deserve an award or a "cake' Berry. lol. I actually just thought to check back on my comment from 2days ago and voila!!! hahahah. Anyways Berry i said exactly what i thought and how you came across TO ME. You just have to deal with it. I actually like your replies, very well thought. You picked up on what your church people complained about and made it work and i know u will do same with my comment. your blog was all ooooooooohs and aaaaaaaaaaaaaahss anyway, a bit of rustling up ur feathers doesnt hurt. Life throws you a lot, handle it and keep it moving babes. Have a nice day. Not particularly, as there are other posts with more comments. But yes, it's brought more comments on this particular post, albeit for the wrong reasons. I studied English Language so trust me I understand where you are coming from. It irritates me to no end to hear people use the language wrongly. But I based my undergraduate project on "Nigerianisms". These are words /phrases you would only hear in Naija. 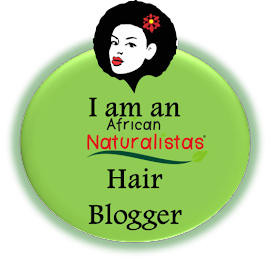 .The phrase “natural hair" referring to processed but weave free hair is as Nigerian as they come. I honestly think the topic is too trivial to be a topic talk less of causing such arguments. What does it matter what anyone does with her hair or calls her hair for that matter? Darling Berry, if you are like me, you’d most likely be pretty upset and defensive especially with all the not so polite comments…but I took a liking to you because you seem so simple and down to earth so because I love you, I will tell you, honestly, this discussion is baseless. But of course, it is your blog, your space and you are absolutely free to air whatever opinion and start up whatever discussions catch your fancy…that is what having a blog is about anyway. I respect that, (and others should too), but please pay a little more attention to these things. Cheers darling! Did you really base your undergrad project on Nigerianisms? I know I can be gullible, but this is so random it could actually be true. And if it is, wouldn't the same theory apply to most if not all countries - the phrases particular to different countries? I'm having to read and re-read your comment because my sarcasm radar is blaring and blinking red. Anyway, I had recently read Sefi Atta's "Everything Good Will Come" and totally fell in love with her use of language and what I coined :"Nigerianisms". So my project was not a bogus open-ended assignment, It was based on Sefi Atta's book and I linked it to how it reflected the use of language in present day Nigeria. So the debate was and still is "are these Nigerian English words/phrases acceptable simply because we are so used to them? Or do we keep steering everyone back on-course Queen's English? There are two school's of thought, each supporting either point. But personally, I believe if this thing is not checked, and like you rightly noted, every English speaking country exercises the right to create its own version of the language, that would doubtless be the beginning of the end. My views notwithstanding, I still believe the discussion about Natural vs Processed hair was better handled more objectively. I had a conversation the other day with someone from the Netherlands and he talked about how the Dutch language in Holland has evolved over the past few centuries, in comparison to the same language in South Africa. He mentioned how so many old Dutch words are no longer used in Holland, but are still used in South Africa. I'm trying to tie it to your project here, so I think I would be correct in saying "Hollandism" for lack of a better word, happened to the Dutch language? I know that languages evolve over time. For instance, nobody writes "thou, thee, whither, etc" anymore, even though it is/was English. New words get added to the dictionary every year, e.g. "bootylicious, selfies, etc." I'm pretty sure someone from 1416 would not understand half the words that are used now. In the same vein of language evolution then, couldn't "Nigerianisms, Ghanaianisms, Indianisms, etc" be chalked up to that reason? Because it seems that you're concluding that these -isms are adulterating the English language (I wouldn't disagree with that personally, but I would also agree with the evolution school of thought). I'm loving this blog even more! I'm an secret ardent reader... This blog can keep me on a spot for 3hrs straight without moving a buttcheek! #notjobless oooo#.thumbsup ,berry.